I did it again. I've gone on a fishing/work trip to Florida. Please don't try to steal my Big Green Eggs off of my deck. Our older son is there and I'd hate for him to have to waste ammo chasing you off (kidding...maybe). Instead, Johnsonville is giving you a chance to win your own Big Green Egg. Enter to win a Big Green Egg here by telling what a brat (that's bratwurst by the way, not a spoiled kid) means to you in 140 characters or less. 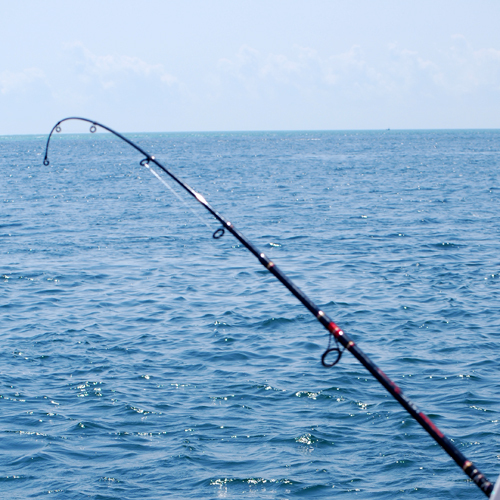 In the meantime, I'm going back to fishing. 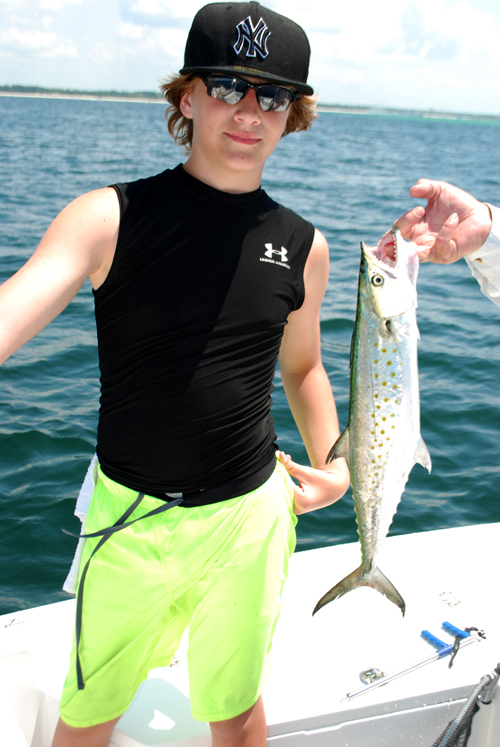 Today, Trevor did the best on our boat landing 8 fish including a feisty Spanish mackerel. Me? I was the only one that didn't catch anything for the first several hours. 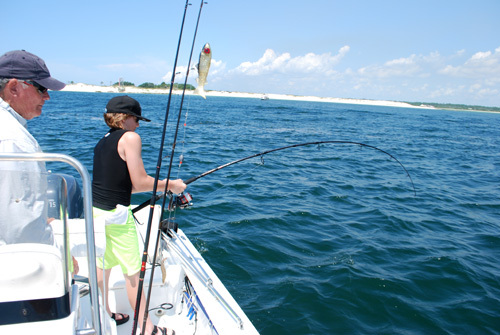 I was catching flack from Trevor and my father-in-law about striking out when I finally caught a HUGE fish! 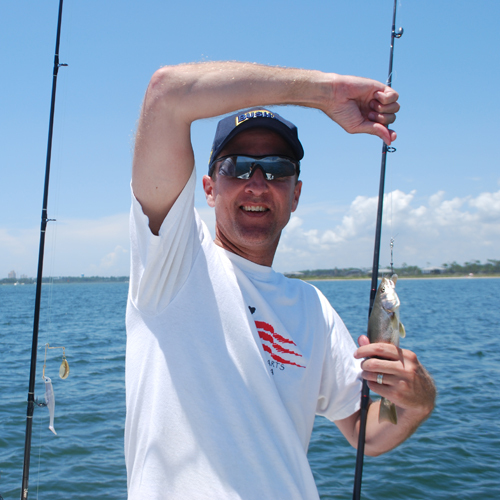 That's not bait....it's a croaker that I caught on live shrimp. Don't worry, I'm pacing myself for when the red snapper season opens tomorrow! Now go enter to win your Big Green Egg and stay off of my deck!